It’s looks like a plain black t-shirt, but oh it’s so much more. 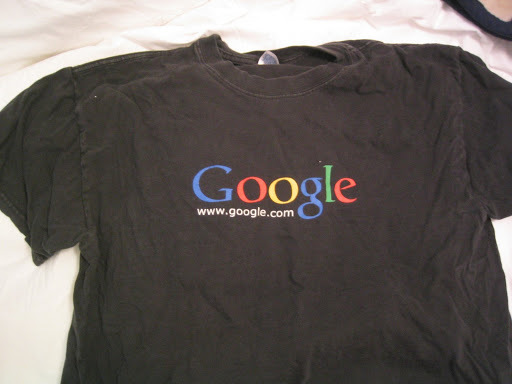 This was the first piece of clothing Google ever gave me, and I wasn’t even an employee yet. I think it was early 2001 and there was some event at Stanford. It was nuclear winter for internet and my wardrobe was suffering because of it (no free t’s). But Google was just starting to gain steam and it had 100% cotton for me.